Originally, the remote controlled car was a basic toy, typically for children, typically for boys. Also called radio controlled, and shortened at times to “RC cars,” the first ever of these toys was released in the late 1960s and early 1970s. It was an incredible time in which the simple act of a moving vehicle without the need for human touch was fun for children of all ages. Throughout the years, there have been a variety of additions to the remote controlled car that created the ability to move the car forward and backwards, steer the vehicle, and more. Shortly thereafter, watercraft that was controlled remotely was produced, and the next step was aircraft. Now, if it exists in full size, there is likely a remote controlled version of the vehicle. You can find helicopters, airplanes, boats, big trucks, sports cars, and more. There are even remote controlled fish that swim at the touch of a button. These toys are not just for children, either. Adults can have fun with these remote controlled vehicles, and there are RC races in many locations, where the race takes place around a track and remote controlled cars are the racers. One of the biggest downfalls to this type of toy has always been the battery life. The majority of remote controlled cars have always used rechargeable batteries, but before rechargeable batteries were such an often-used product, they didn’t charge very fast or have much life after charging. You could charge your remote controlled car battery overnight, and even at fully charged you would only get to play with it for a maximum of 30 minutes before the battery would need to be charged again. With so rechargeable batteries and chargers available in so many brands and types now, however, this no longer has to be the case. You can find the best rechargeable battery brand for you that is the perfect size to work in your favorite remote controlled car, and you can get much more playtime than ever before. With fast battery chargers, you can recharge your RC batteries and begin using your vehicle again much more quickly than in the past. In the past, you also could not purchase extra batteries to keep on hand. This is no longer the case, though. You can easily purchase extra rechargeable batteries that will fit your favorite remote controlled car, airplane, or boat, and have more than one battery fully charged when you begin usage. This way, you at least double your time before the vehicle will run out of juice. Plus, you can find better rechargeable batteries, with many options, so you can get longer usage out of each rechargeable battery as well. Being able to use remote controlled vehicles for longer than ever before makes them a much more appealing option as a toy that will never fade as a favorite for adults and children alike. Thanks for reading our article! Did you know that Electronics Warehouse carries both rc batteries and battery chargers? Plus, as an added bonus, use promo code EWBLOG for 10% off our order, plus fast, FREE shipping, just for reading this article. Take a look! Many people are interested in RC cars and trucks, but they don’t know where to start. The first thing you need to know about RC cars, is there are three main types available. There is electric, nitro/gas, and truck that is available in electric or nitro. The RC cars you get at a regular store are called “toy grade” and the ones you purchase on a website are called “hobby grade.” Beginners and professionals alike can use hobby grade cars because they are built to last longer than the toy grade cars. 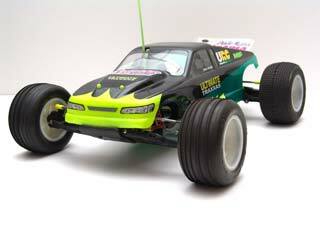 You can purchase an RC car that is RTR (ready-to-run) or an assemble it yourself kit. Many believe that RTR cars are slower than assemble-it-yourself cars. However, RTR vehicles can reach speeds of up to 80 miles per hour and come in nitro-fueled and electric powered types. If you want to go the assemble-it-yourself route, you should purchase a car that is fully customizable. Some brands to look at are; Tamiya, Kyosho, Team Losi, HPI Racing, and Team Associated. Home users and professional RC drivers use brands like these all the time.